Hey, it’s SonicAdventure – again. Heidl asked me to feature my covers for Total Recall. And I thought he was having enough of me considering the covers I did for Poltergeist. I was hesitant and excited at the same time. Because the covers for this classic 1990 SciFi movie are not my usual boring crap. I did all the stuff I usually hate to do: re-arranging, cutting, cleaning, creating and mocking material. The reason? No idea. I love the score, I love the movie. And there exists a ton of gorgeous alternate poster material! This is no obscure movie like Mom and Dad Save the World, this is a fan favourite. 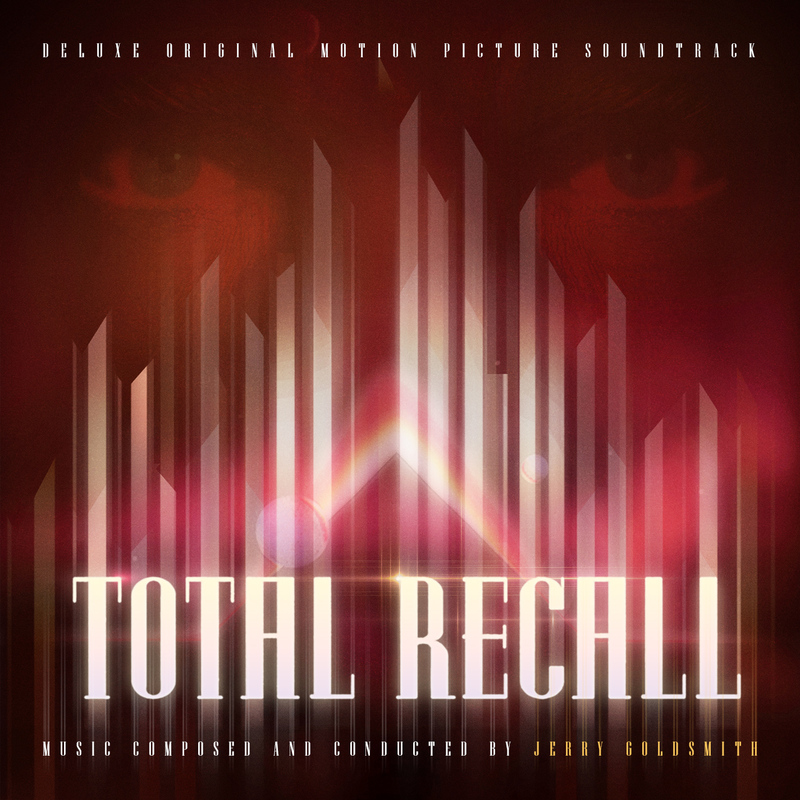 Still, I did covers for cult classics before where I wasn’t inspired to do anything beyond the official material… so I don’t know why Total Recall triggered what it did. In the end it doesn’t matter, I finally have some interesting covers to go with better sound to form a true Deluxe Edition. The first few covers (#1 to #5) are all based on official poster material. The first cover copies the design for the first soundtrack release, updating it a little. The second one copies the design for the first expanded treatment done by Varèse Sarabande, again with some slight changes. Both of them are based on the most used poster design, I just replaced the starfield background with one I’ve been using since Final Fantasy. The original was a good choice for something as huge as a poster. But for a relatively small square CD cover you just can’t see it anymore (I always imagine the covers printed out). So now there’s something that’s always visible. The third coverjust enlarges the pyramid, adding some texture and glow to it. The fourth (and fifth) is based on an original painting done by Renato Casaro. It was one of the first designs I did for this series and also one of the first I sent to heidl in order to get an opinion. Yet while I continued doing the other covers I liked it less everyday and at some point decided to delete it. I just didn’t like that it looked a little cheap (why is Arnold sweaty and what’s with the odd rays/fog coming from his head and his facial expression, is he taking a dump, etc.). But right as I was writing this very text you’re reading, heidl approached me with questions regarding the design of the preview header image he always adds to his blog posts. For some reason, he remembered the cover and wanted to use it! I was panicking. You see, I always erase what I don’t want to use or don’t need anymore so I didn’t have any other choice but to re-do it. Considering I deleted it in the first place I went a little further than I thought I would, creating not one but two covers based on it (#4, #5). This time I changed what I didn’t like though. I removed the drops of sweat on Arnold’s body and face and the rays/fog extending from his head. I also resized the pyramid, the head and the machine relative to the Mars ground and extended the rays of light so that I could center the picture on Arnold. 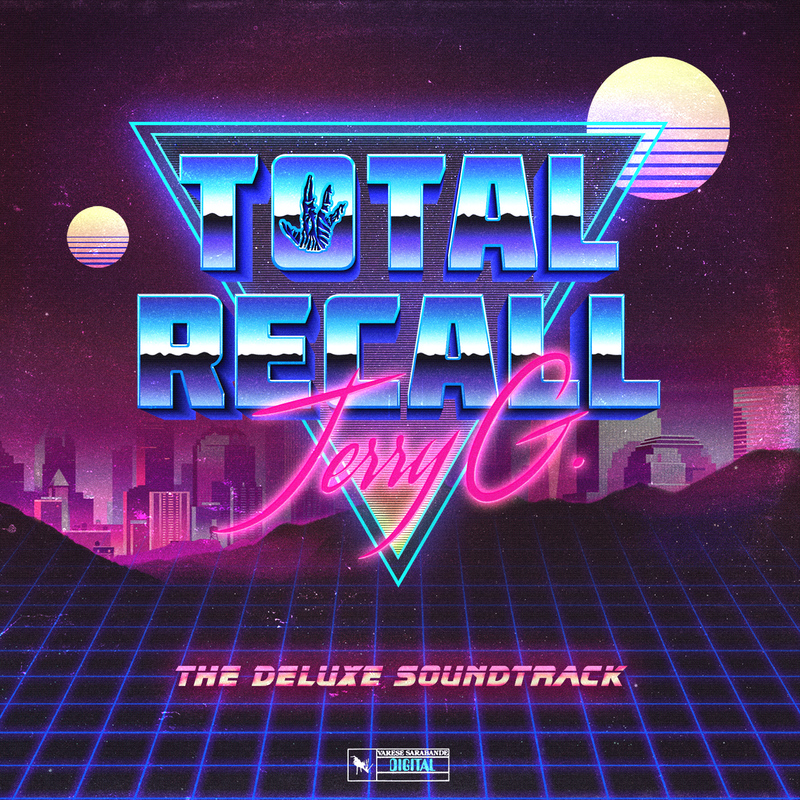 After I was finished, I thought about creating a retro synthwave cover, complete with grid, faux-metallic title logo and cheap fonts (“Stencil“!). I like the end result… sort of. It reminds me of the worst of the ’80s. I’m old enough to remember them, just as I remember the dubious fashion choices (how can someone wear momma jeans today, they were ugly even then). By the way, this is the only cover where heidl was directly involved: he created the “Deluxe Edition” snippet you can see in the lower left corner. Speaking about him and his involvement (you don’t think I could have pulled off something like this on my own, do you? ), he was most helpful in designing many of these covers. I sent him most of them via Facebook and asked what I could do to improve them. He usually answered with something along these lines “You could do this/you might add that/why don’t you change the font/look at this picture” and then sent me links where I could get material I needed (lens flares for example). He also gave me his (gigantic!) set of vinyl filters he collected over the years. And then left me alone. He probably trusted me to be adapt enough to do what he suggested and that I was just too lazy to do it. As always, I’m eternally grateful for his contributions or suggestions and I’ve said it often before: heidl and Jim Titus are the best when it comes to designing covers, people like me can only follow their example. Cover #6 is not based on any official material, I designed it myself. I wanted to copy the “falling down” logo effect used for the iconic opening titles in the movie and, as you can see, I was partially succesful. I don’t think that it’s a terribly original design, I think it’s rather “meh”… but there you go, one can’t always be brilliant. The next one (#7) is based on unofficial artwork. In fact I used one of heidl’s designs for Jupiter Ascending as a background, extending it with my trusted starfield and replacing Jupiter with Mars (employing a picture created by NASA out of 1000 individual shots done by the Viking orbiter in 1980). The gorgeous typeface used for the title is called “Lombok” and it was designed by Alexandre Pietra. In my opinion, one of the most beautiful recently designed typefaces. The 3 lens flares were heidl’s idea and they really made this design work with the result that it’s one of my favourites. Now to the other synthwave cover (#8). Heidl suggested this retro design and it is based on a free template I found. 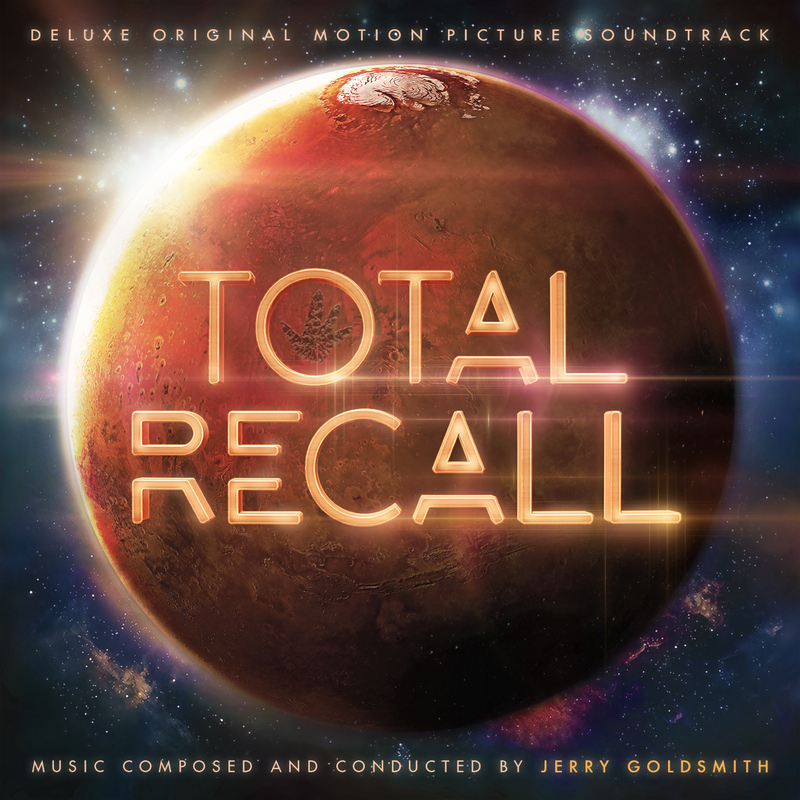 I adapted it to my needs, turning Jerry Goldsmith into some one-hit-wonder pop celebrity. The Martian alien hand inside the “O” was heidl’s idea. And what a nifty one it is! Despite these funny little touches I think that it’s a rather generic design. Now we come to the covers based on alternate artworks by several fantastic illustrators. I just love alternate poster designs as the artists often have the freedom to do what they want and are not hindered by monetary concerns or by the ego of people involved in the movies’ production. They can express what they think is the best approach. The first source image (#9) was created by graphic designer Brian Taylor. Not much editing was done on my part, the poster was already a perfect fit for a square format. That can’t be said however for the next cover (#10) using a source done by Matt Ferguson. I ended up taking it apart and re-assembling it to fit the square format – and how I hate to do that. The original poster was designed to have additional art that only shows when exposed to UV light. I combined both to form a cohesive whole. Sorry Matt. In the end it turned out to be one of my favourite designs, despite the work involved. Another favourite of mine (#11) is based on a design by gokaiju (aka Grégory Sacré) who always comes up with different and quite ironic angles when creating movie artwork. I didn’t do much, only augmenting his ideas to, basically, form an extended design of his own. 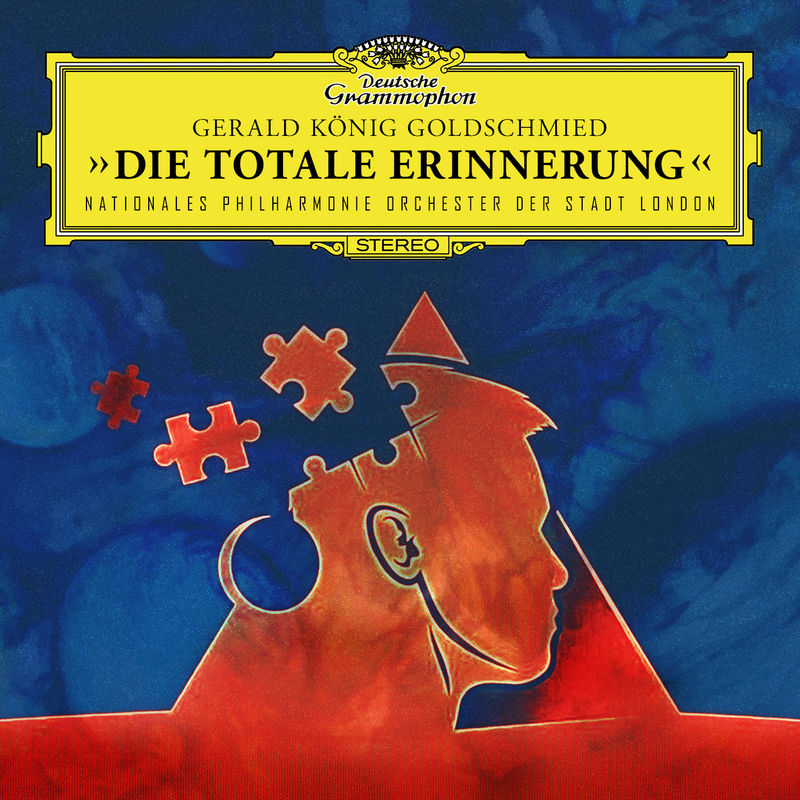 Next we have an hommage to the German record label Deutsche Grammophon where I decided to give Total Recall the classical (German) music treatment (#12). I went as far as translating every little bit from English to German, down to Jerry’s name. It’s based on a design by MightyBeaver, also known as Kamil Bober. I applied filters generously, adding some texture to create one of those typical DG designs from the ’60s. The next design (#13) is based on an artwork by Steve Berry. At last something that’s not red! And for the final custom cover (#14) I took an extremely wide poster done by Karl Fitzgerald, re-assembled it and put it into your typical ’70s vinyl design. I hope I’m not self-serving if I rate a blog post on my own blog. But this entry absolutely deserves the full five stars. This is a magnificent collection of custom covers and I whole-heartedly couldn’t tell which one I love the most. I’m actually a little proud to have these featured on my blog and I’d like to take this “official” opportunity to say a big heartfelt THANK YOU to you, Sonic, for gracing my little blog with your craftsmanship. What are you talking about? #6 is absolutely gorgeous! The vertical lines that extend out of the letterforms, brilliant! I don’t think it desperately needs the eyes, but i won’t complain since they’re alreday there. A magnificent cover – probably my favourite of the whole bunch.